Founded in 1876, AAIDD is the oldest professional association concerned with intellectual and developmental disabilities. AAIDD advocates for the equality, dignity, and human rights of people with intellectual and developmental disabilities, and for their full inclusion and participation in society. Learn more about the organization at www.aaidd.org. This is a comment I received from a reader. I thought this was well worth our review. Autistic people can be some of the most vulnerable dependent adults in the universe. Mainly, because they are at the mercy of others who care for them and can take advantage of them by blaming abuse on the autistic person themselves. You have to be a seriously sadistic, cruel coward to prey upon defenseless, non verbal, severely-autistic people. There is an epidemic of trusted caregivers from school personnel to home health workers who are being CAUGHT on tape ABUSING autistic people. What are YOU doing about this? Why aren’t more people addressing this hidden violence towards our autistic children? The Family Cafe and The CAFE TA Center are currently working on a project to find ways that advocates from different disability populations can work together. To help us out with that effort, we are asking you to complete a short survey on your views on cross disability advocacy and collaboration. You can view it at http://www.surveymonkey.com/s/J5S6Z95. The results of this survey will be shared through a presentation at the Atlernatives 2012 conference this October, and will also be part of a white paper on the topic that will be produced by The CAFE TA Center later this year. Thanks very much for your help with this project! This is the newsletter, I received from The Family Cafe. You will enjoy seeing the online gallery. We are pleased to let you know that the pictures from The 14th Annual Family Cafe this past June are now available online! To check out all of the nearly 300 images from the event, visit our online gallery today! There are pictures from every day at The 14th Annual Family Cafe, including the pre-event mental health training, volunteer bag stuffing, the various keynotes, Gatorland’s visit to the Exhibit Hall, the Saturday night dance and Sunday’s duck race. So please take a minute to browse our gallery. If you were on hand, you might see yourself in there! And if you weren’t able to make it this year, at least you will get a taste of what The Family Cafe had to offer this time around. We definitely hope to see everyone again in 2013! Today, Governor Rick Scott named Barbara Palmer as director of the Agency for Persons with Disabilities, effective August 22, 2012. Previously, Palmer served as assistant secretary for administration with the Florida Department of Children and Families from 2009 to 2011. Among her private-sector experience, she was president and CEO of Palmer, Musick and Associates from 1993 to 2009 and CEO of Illuminactive Multimedia Inc. from 1995 to 1997. 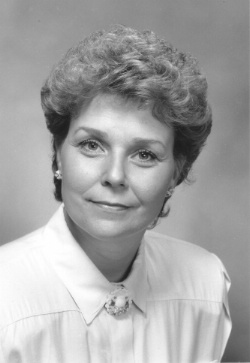 She served as director of the division of hotels and restaurants within the Florida Department of Business and Professional Regulation from 1989 to 1991. At Florida State University, she was associate vice president for governmental relations from 1985 to 1989 and director of women’s intercollegiate athletics from 1977 to 1985. Nationally recognized for her efforts to secure passage of Title IX and ensure equity in sports for women in school athletic programs, Palmer was inducted into the Florida Women’s Hall of Fame in 1982. In the 1970’s, Palmer began her career as executive director and vice president of IMPACT Enterprises Inc., a company serving individuals with developmental, mental and physical disabilities transitioning from institutional settings to community placements. She received bachelor’s and master’s degrees from Florida State University. The current director, Mike Hansen, has accepted a position with the Florida Senate. With more than 30 years of experience with health and human services policy and budgeting, Hansen has spent the past year working to continue increased efficiencies at the agency with the goal of balancing the agency’s budget and ensuring the continuation of services to Florida’s persons with disabilities. On May 8 and 9, the six new regional directors for the Agency for Persons with Disabilities (APD) met in Tallahassee to begin planning for the restructuring of the APD offices throughout the state. APD Director Mike Hansen kicked off the meeting. Several program areas presented updates to the regional directors to ensure that they were aware of the latest information. Following the regional planning meeting, the regional directors joined the rest of the agency for an APD Strategic Plan webinar. Each team leader presented an update on the activities that have occurred as part of the team’s strategic objective. This transition will affect CDC+ consumers under the age of 21 who wish to obtain PCA service via Medicaid State Plan AND self-direct the approved PCA funds via their CDC+ monthly budget. Consultants who serve these consumers are encouraged to attend one of the scheduled Webinars.